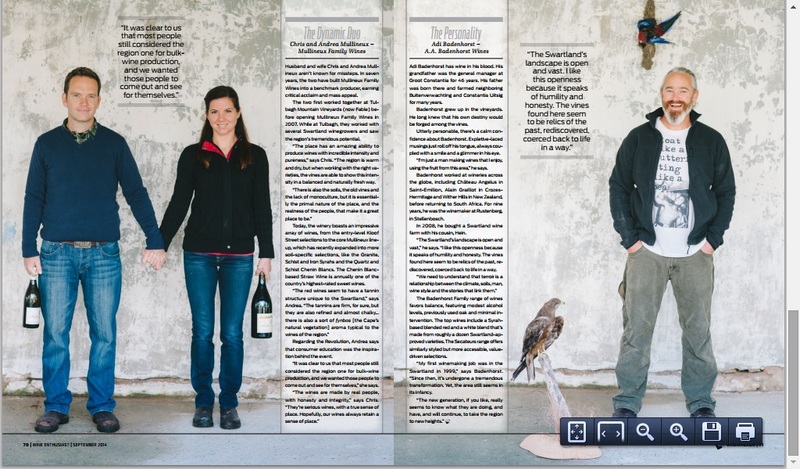 We love this story from the latest issue of Wine Enthusiast. 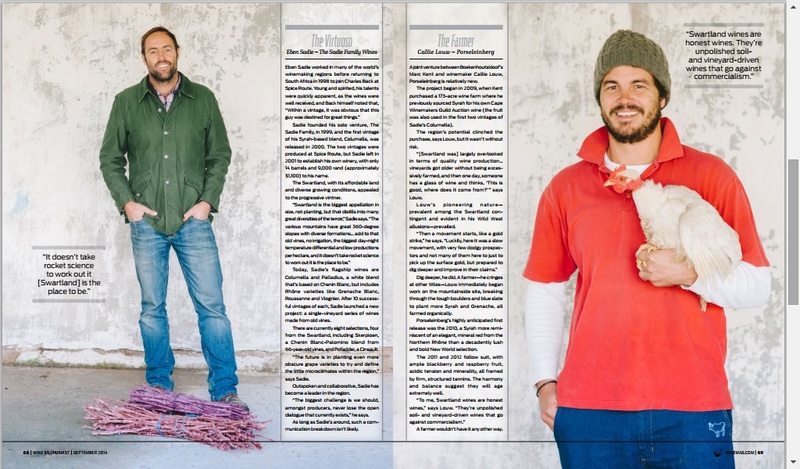 Written by Lauren Buzzeo, photographed by Maree Louw (on Kalmoesfontein) and styled by Cornelia Badenhorst, the article is a beautiful feature of the original revolutionaries – Eben Sadie ‘The Virtuoso’, Callie Louw ‘The Farmer’, Chris and Andrea Mullineux ‘The Dynamic Duo’ and Adi ‘The Personality’. To read the full story online, click here. 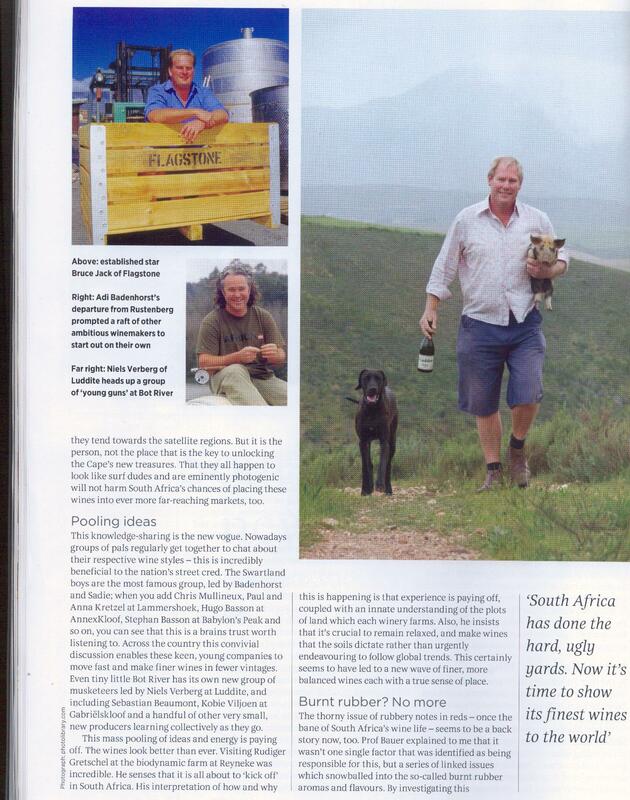 For more about The Swartland Revolution, visit our website. 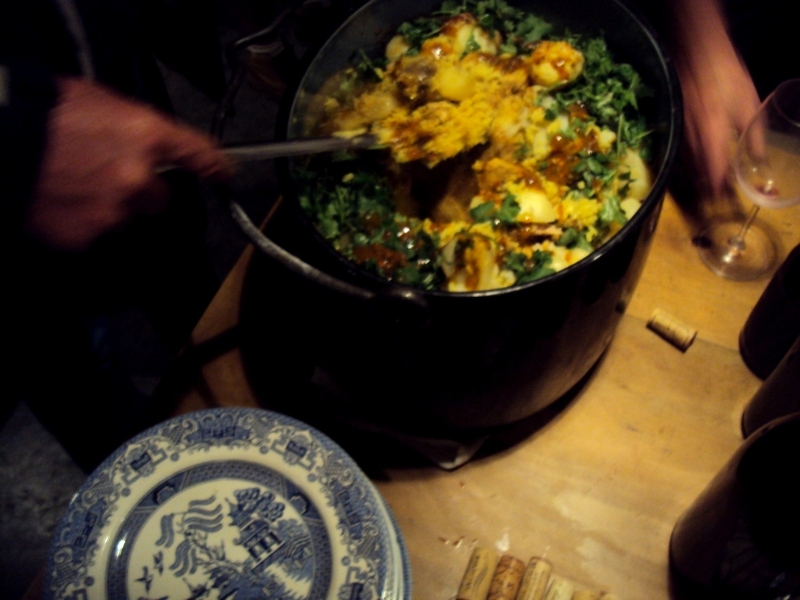 Maree once again took some stunning pictures at the Swartland Revolution this year. 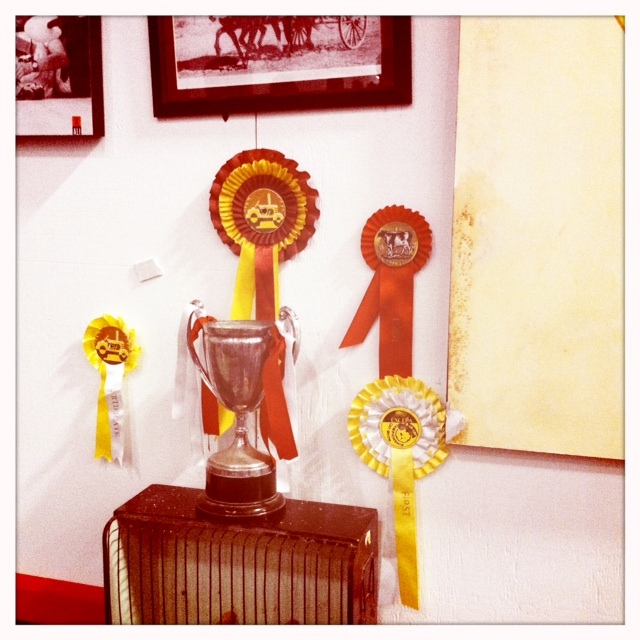 Here are a few of our favourites, lots more on her blog. 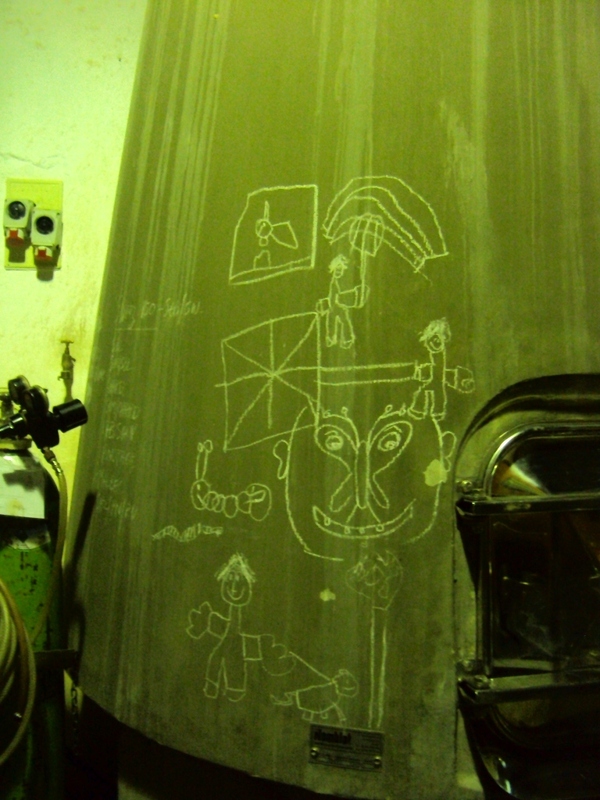 There is a nice summery of the weekend on The Swartland Revolution’s site. Have a look. 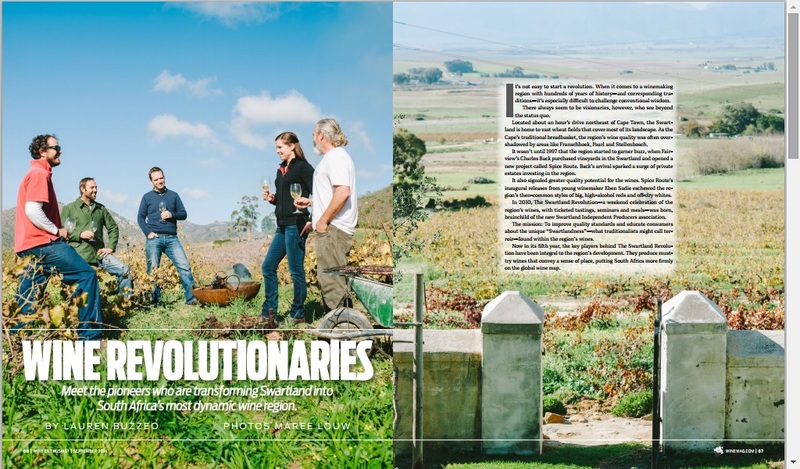 Tickets for this year’s Swartland Revolution are already sold out and we only just announced the first confirmed formal tasting. 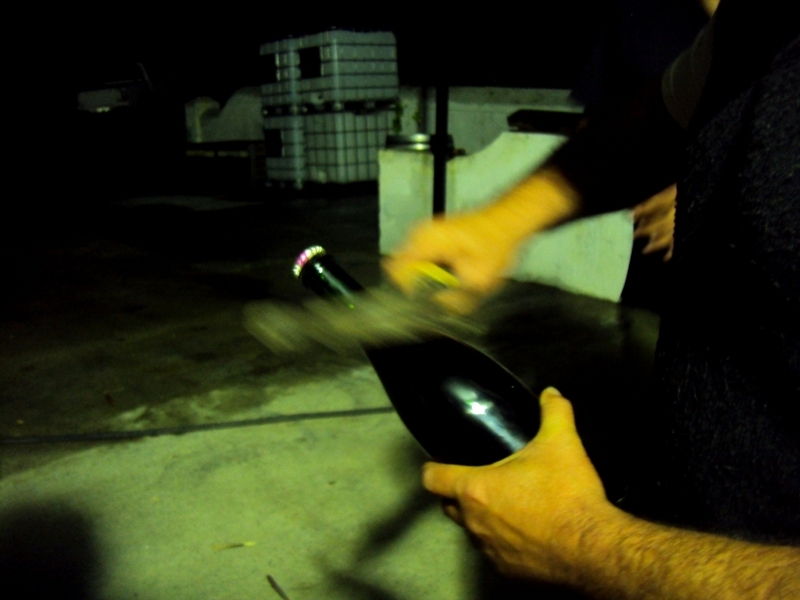 Together they will show eight wines (which will be announced in due time). SR2013 takes place on 8 and 9 November this year. There will be another epic Swartland Independent Street Party so follow @swartlandrev for more details. 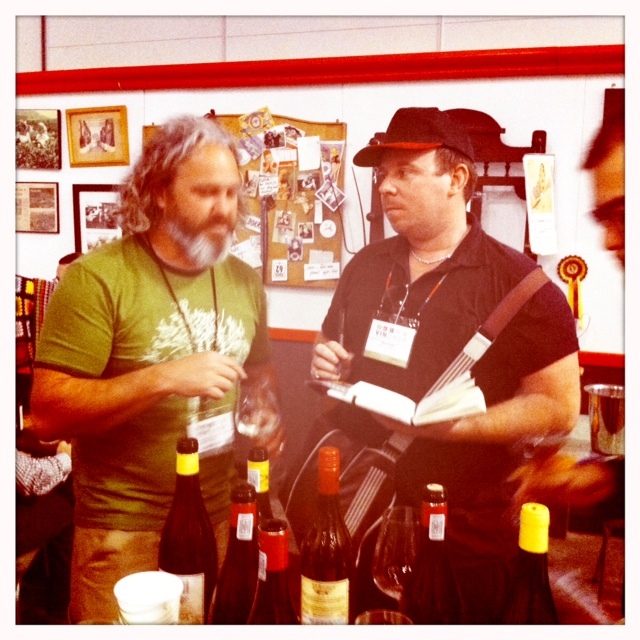 Yes, this weekend past was the third annual Swartland Revolution. A weekend of great wines (from France, Germany, Portugal and naturally, the Swartland), fabulous food and lots of Swartland gees. Like one happy revolutionary observed: the right level of geeky/nerd/fun!! Maree Louw, revolutionary wife, once again took some amazing pictures, and we gladly share them with you here. The first tasting, Quality First was presented by father and son team, Alain and Maxime Graillot who each showed three of their wines from France. Adi showing Samuel some tricks of the trade. Friday night BBQ at Bazaar, by Moerby Kultuur. Beer and worsrol break between Saturday morning tastings. Lunch, by “the revolutionary moms” led by Adi’s mom Judy, was a huge success. And then there was the Swartland Independent Street Party, with 18 members pouring their wines in Short Street Square. 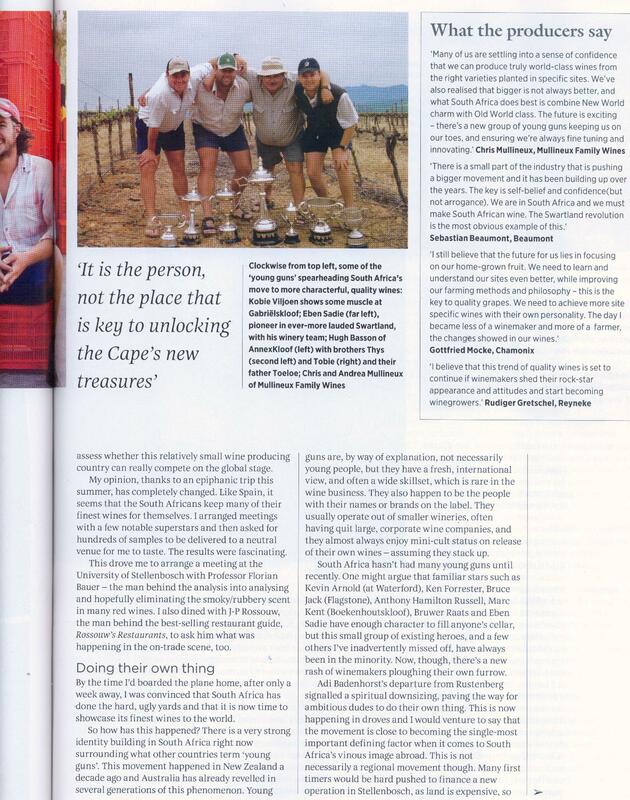 Including Jasper’s new venture, made on Kalmoesfontein – Muskeljaatkat! Um, no, give us a chance to recover, celebrate summer, harvest and then once we’ve started planning, we can talk about another revolution. Thanks for sharing in the experience! More pics on Maree’s blog. 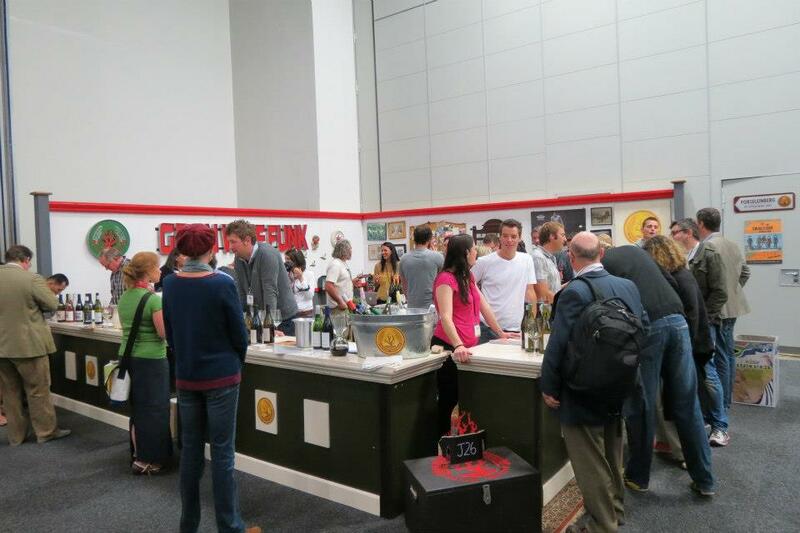 Feedback on last week’s Cape Wine event at the Cape Town International Convention Center is looking very positive. Reading through bloggers and journalists’ accounts of the week in the stormy Cape it seems they had just as much fun as we did. 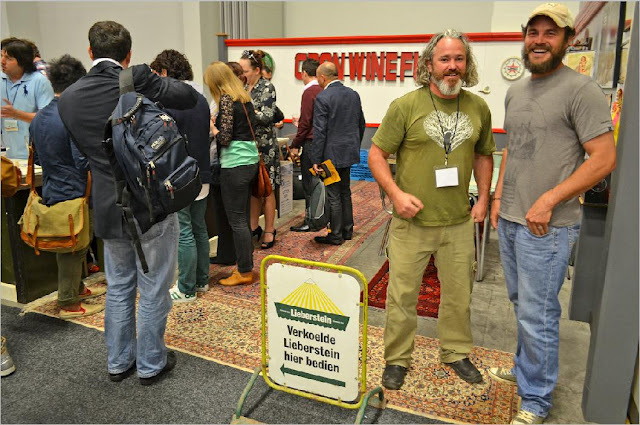 The Swartland Independent members all had a stall together in the back of the hall. Our funky stand attracted visitors constantly and seemed to be very popular. 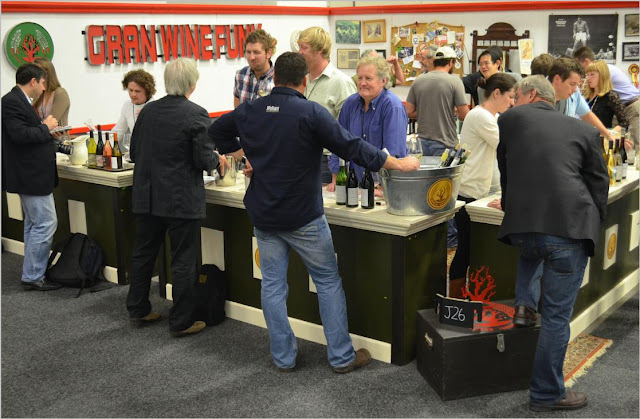 “In the Swartland corner, it was exciting and very busy, especially with Adi Badenhorst there to make things happen” – John Ford, read more here. We had lots of fun living it up in the big city of Cape Town for a week. 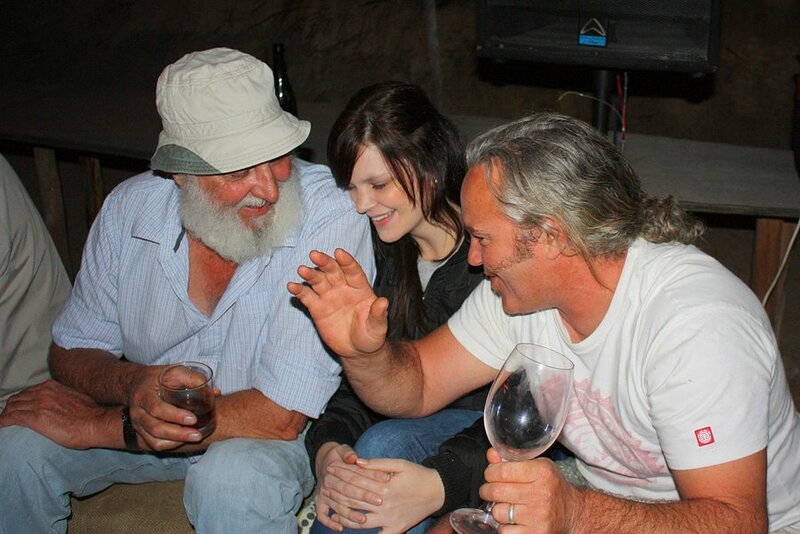 With the farm bakkie in rush hour traffic (once in sunshine with Helena, Eben and American buyer John on the back and once in pouring rain with no windscreen wipers…), dinners at Fork and Dias Tavern (just to keep it diverse) and lots of laughs with old and new friends. 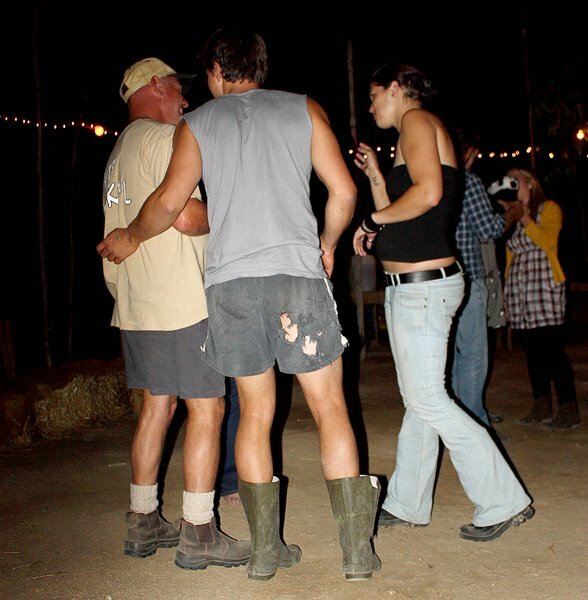 The Paardeberg locals aka Partyberg regulars convened at Adi’s 40th and made an executive decision to have more parties. 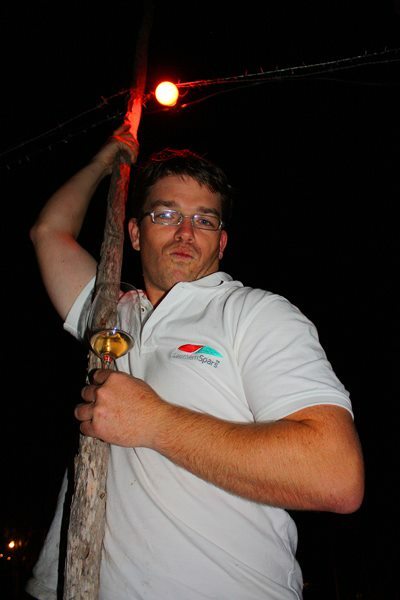 “People need to get together for more than just christenings, birthdays and funerals” – says Eben (Sadie). 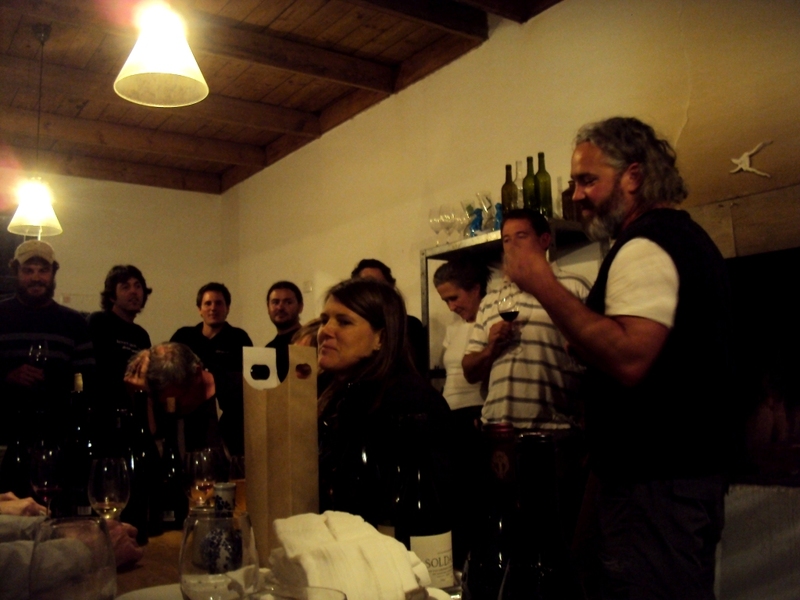 And so we got together on Kalmoesfontein for the 1st of these “any-reason-to-party” parties- celebrating International Grenache Day (a day early). Adi, telling us we need to have more parties. No one objected to the motion. 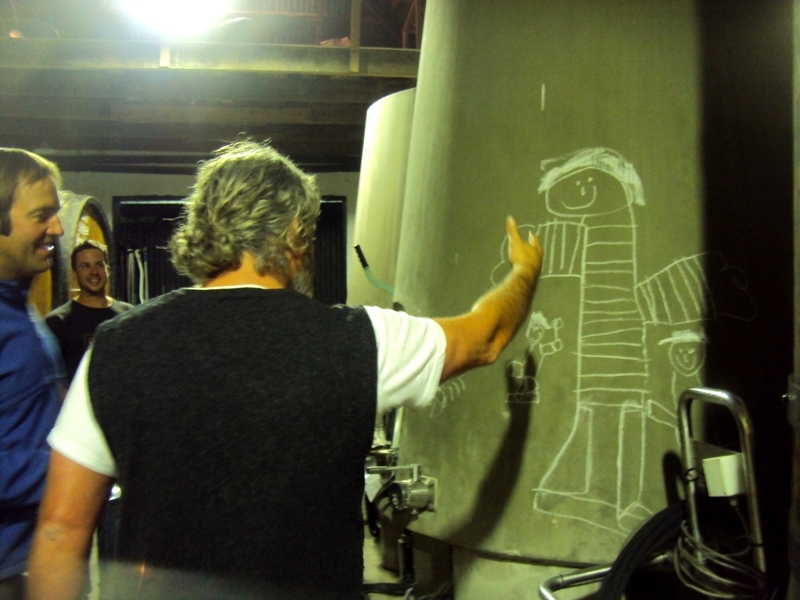 Adi giving us a tour of the gallery, winery. 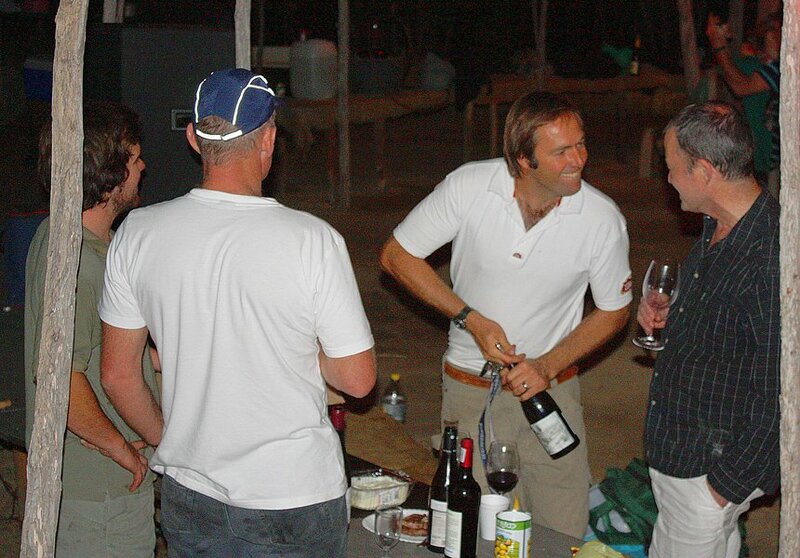 This is how you open a Paardeberg Perle. Yes that is a hammer. 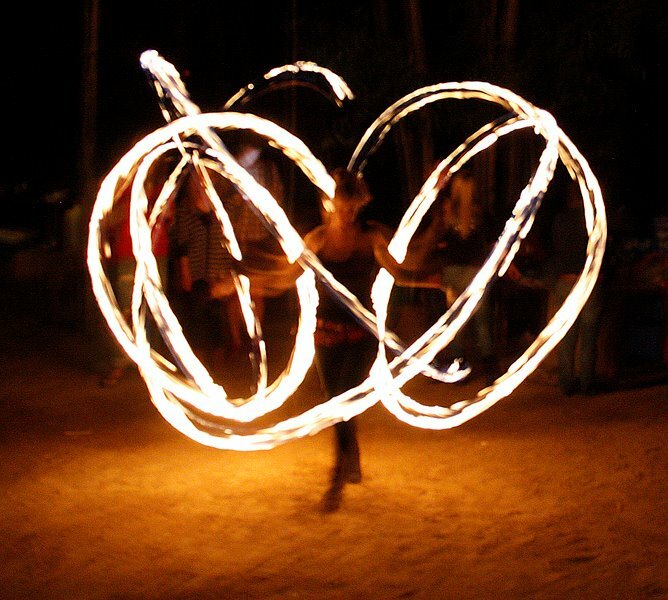 We didn’t even have to hire entertainment, they just appeared to light up our night. So there you have it, if your memory fails you, yes there was a crazy party in the bos on the berg… till next year, cheers! It’s true – if you use an old photo of Adi in a current article you can still call him a young gun! 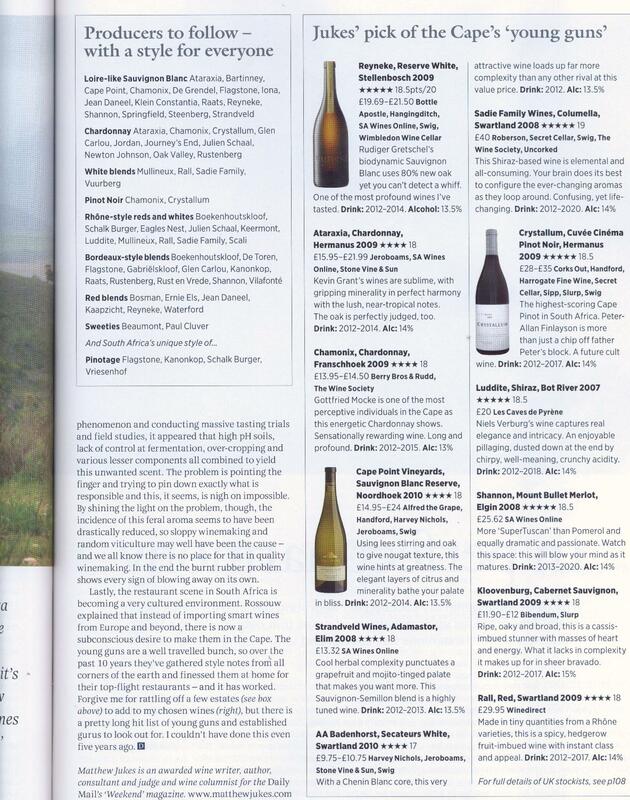 Following up on the article by Matthew Jukes that we shared here on our blog at the end of 2011, here are the pages from December’s Decanter magazine.